Cameracraft is back – and bigger! 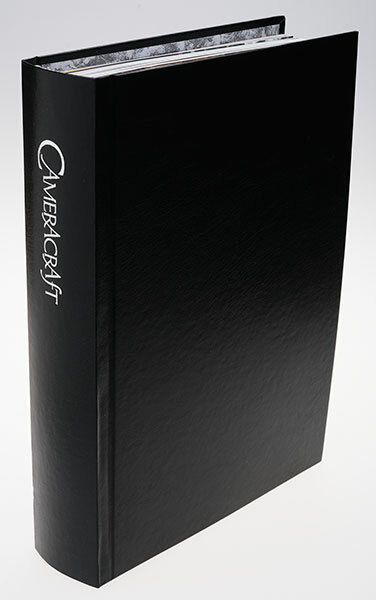 Cameracraft is back and bigger than ever with superb quality perfect bound printing. Also provided in print as part of the Guild of Photographers subscription, and available on-line at Pocketmags (look for f2 Cameracraft) and ISSUU. You can subscribe starting with the latest issue we have in print – and you won’t pay until after you receive your first magazine on an annually renewed deep discounted subscription (full UK cover price – £8.50 per edition, or £51 a year – you save £15.30 by subscribing here PLUS you receive your first issue FREE). You will see here an archive of articles (right hand column) going back before Cameracraft started up. This is the archive from our previous website, dPhotoexpert, up to the point that we started Cameracraft. These articles are searchable and free to read. You can also now read Cameracraft free on ISSUU and download copies to keep on your device for only £2.99. Please share this from our ISSUU page! Edited by David Kilpatrick in Scotland, with US Associate Editor Gary Friedman in Los Angeles, Cameracraft returns to the foundations of good photography. Below: from the first edition in 2012 (now a collector’s item). 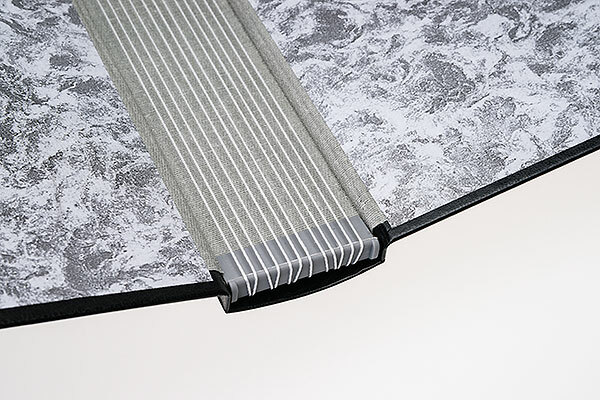 We offer a bookcase binder to hold up to 12 editions (8 of the current 68-pagers), with a Cordex spine, black leathercloth on board, marbled inner papers, silver blocked logo. Our prices include VAT/postage as appropriate for each zone shown. The binder costs £11.50 including VAT and postage, UK; £15 EU; £17 rest of world. See Binder order page. See the comments from readers on receiving their first edition. Congratulations and thanks to Andy Johnson who becomes Cameracraft Charter Subscriber no 1 by submitting the first subscription after this (still slightly beta) web page went live! A brave venture in the current economic climate. I wish it well and every success. Is it your intention to show on the website a preview of typical content so that potential subscribers have an inkling of what they will receive? We will have a gallery of featured individual images and I welcome submissions of URLs to view or consider work. There’s no fee for use and this also applies to portfolios and features initially, but this does not mean participation will be unrewarded. You’ll see how in due course on this website. Congratz, David. Just paid for my 1 year subscription to CameraCraft. Wish you well in this. I’ve been a regular visitor (albeit a silent one) to your PCA site and enjoyed reading some of your articles. I’m not a technically inclined hobbyist photographer, but would like to improve my technical knowledge in it. That’s why I enjoyed reading your write-ups, and Gary F’s as well. He is very well received here in Malaysia. Take care. Will look forward to receiving my first issue! As a reader reader to Photon (in the far past, still having the issues!) and subscriber to the following FP and F2 I certainly look forward to CameraCraft! Congratulations on your new venture, I hope it acts as a clearing house for DK photo writing that I now search a variety of magazines to read — are we as Photoworld subscribers automatically in queue? That’s correct. 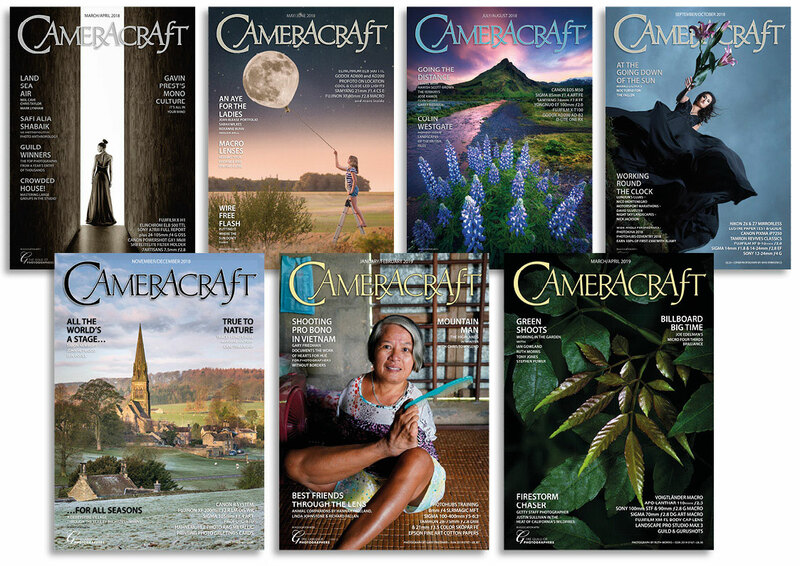 If you have any outstanding Photoworld subscription, it is transferred to Cameracraft. We are trying to find economical and reliable ways of emailing or contacting existing subscribers (harder than it should be). I scrapped the idea of an Alpha Annual, or a book, when it became apparent that Sony will simply continue to change the system/s and turn out new products every few months. There will never be a time when the system is ‘complete’ or stable enough to write about, and there will never be a date when an annual is not published immediately before key news which renders it out of date. So we have to also keep searching the newsstands or subscribe to f2 Frelance Photographer magazine to keep up with the Kilpatricks, eh? I’m excited by the email teaser I saw today showing sample pages from the reborn Cameracraft (see Camera Craft of the early 1900s), and I’d love to share it with all my photography groups, but there’s no web copy to point them to, can you make it an online version, or enhance this page or another page with the tease sample pages that you included in the email so I can point to a web address as I spread the word? I am confused by your comment about Photoworld subscribers. I was a subscriber and only received a couple of issues. How can I have the credit transferred to CameraCraft? We’ll reply directly Steven. According to you records you received four issues of Photoworld, 2007-8, after which the subscription ended. Very well done David and all best wishes for a huge success. There is ceratinly a gap in the market for a high quality photography journal that won’t “dumb down” or assume we don’t know what “depth of field” means. Hi David just a wee note to say all the best on the new magazine. I wish you all the best with your new venture David, I am sure the magazine will be worth every penny. I may look to advertise my new business in it when I have completed the website. I hope it will have the success it deserves on its promises! Best wishes for that David (and associated Gary)! ‘PhotographyBB’ which is based in Canada and ‘f11’ here in New Zealand. They are published on a regular monthly basis. Keith, for most people there’s no point in printed magazines. They throw them away after a week or two, and forget the content after even less time. I do exactly that with many magazines. It can also be argued that everything now on the web will survive, and always be accessible, so websites and digital magazines are the future. But there are some people who actually enjoy print, and like to keep a few magazines permanently. Sometimes they will keep a year or two of a monthly title. Cameracraft is likely to publish for six years, and to complete two bookshelf volumes, in the form I’m launching it (where it goes after that, we must wait and see). It is a quarterly partly because a quarterly can be kept permanently without filling up your living space. In photo magazine terms, it’s almost like a limited edition print – very few people will ever see it. I am inclined to disagree, I have copies of “Minolta Mirror” from the late eighties under my coffee table, they are enjoyed by all visitors, even non-photographers. These were beautiful publications and an inspiration to anyone! I have just subscribed and wish you well with the magazine. Having greatly enjoyed your contributions to the Alamy forum over the last two years, I am very much looking forward to receiving the first edition. Looking forward to getting it David! Have just subscribed, looking forward to the first edition also. I wish you success with your new venture & I will be subscribing. I have been reading your articles etc. Since your Camera User magazine, which was slated by some rivals as being printed on newspaper. They missed the point that it’s the content that counts. I will subscribe later after we moved to our new office address. If you have a paid print subscription, would this mean that you have also access to the web print/pdf? Wish you all the best and hope you success in this journey! Arthur, we are just putting the PDF of issue 1 into a directory which will emailed to all printed edition subscribers, so they also have access to the PDF. We will wait until printed copies have been delivered before sending the URL. All new subscribers are either needing to supply an email address, or completing a form with space for email. If we do not receive an email address, for any reason, a notification can’t be sent. We also plan to have each year’s back issues assembled into a volume with digital print ordering, when the time comes. I just received my copy of the first edition of Cameracraft. It is a very stylish, intellgient magazine that is also fun to read. I liked the wry comment about the 5D III being too small for some Pros – and I’m going out to buy one tomorrow, which was timely! Well done on this great new publication, David, and I am honoured to have 2 images on the inside back cover. Well done! David, when you said you would like some photos for an article you were doing for a wee magazine you were publishing. I did not think it was going to look as impressive as I have seen online. It looks fantastic and from all the other comments it obviously is. I await my copy now…OH! I have also subscribed..
saw my pictures hiding among the pages. Don’t worry, not seen it online. Just received the first issue of Cameracraft, well done , I found it very interesting the way the camera makers are coping each others high tech variations, I can’t say I am that impressed about Sony going to electronic viewfinders. ( i have Minolta 9000, Min Dynax 9, Sony a100, A900, ) I have not come across any electronic viewfinder yet that is a anywhere near the glass finders in the Dynax 9 and the Sony A 900. The magazine that you have produced is great, can not wait for the next one, areal touch of class. Received my copy of CameraCraft just now; thank you. Will comment more fully after I have properly gone through it; however, I wish to inform you that I have received a duplicate, that is two copies, although I only subscribed once. This copy will go to another photo enthusiast I know, but I do not wish you to keep sending duplicates. I received my first copy of Camercraft yesterday in the mail. What a wonderful magazine. High quality pages full of equally high quality articles, information and photographs. You delivered on your promise! One criticism though. The standard of quality in the photographs makes me feel so inadequate. “How could I ever reach that level” I heard myself saying! Also, I see to my surprise and pleasure that my scan of the polaroid was published. What a buzz we both got from seeing it in print. Look forward to the next copy. PS. I received two seperate copies. Some people (for example anyone with a picture in the magazine) do have two issues deliberately. However, from various responses, I think that Gary Friedman’s subscription ‘channel’ has duplicated some existing subs. In at least one case I’m baffled as I know I ran a check to find a name I recognised, found no record, and created a new one. Fortunately it’s relatively simple to do a sorted list and see just how many such duplicates we have. All those subscribing in GBP not USD have been cross-checked, but the USD subs were assumed to be new ones. I have noticed that there was an error on the website here, showing Gary’s dedicated page when it should not have been visible; existing subscribers may have used this instead of the main page to resubscribe. We are checking all new subs against existing ones and applying credit in extended periods, or offering a binder, depending on the circumstances. – David. I also received duplicate copies of my first issue. It looks like you have a handle on the problem so I’ll monitor the website to see if you need any further information to get this resolved. On return from photokina I have found what caused the duplication. It’s a simple database export error, but of some concern as overseas addresses were added to our UK mailing list. The mailing house is supposed to identify this type of error and inform me immediately. They normally spot even a single OS address in the UK list. They let a very large error go unreported and now I need to find out why it was not reported to me. It’s my error so they are not liable, but it’s not typical and raises concern. How to change the subscription-address? Just email [email protected] with the new details. Edition No 3 received – very interesting, informative and thought provoking. Particularly enjoyed Dangerous Recreation and, as always, Rearview! Just a quick note to say thank you for yet another excellent edition, High and Low is an inspirational article. Ordered the binder as a result.